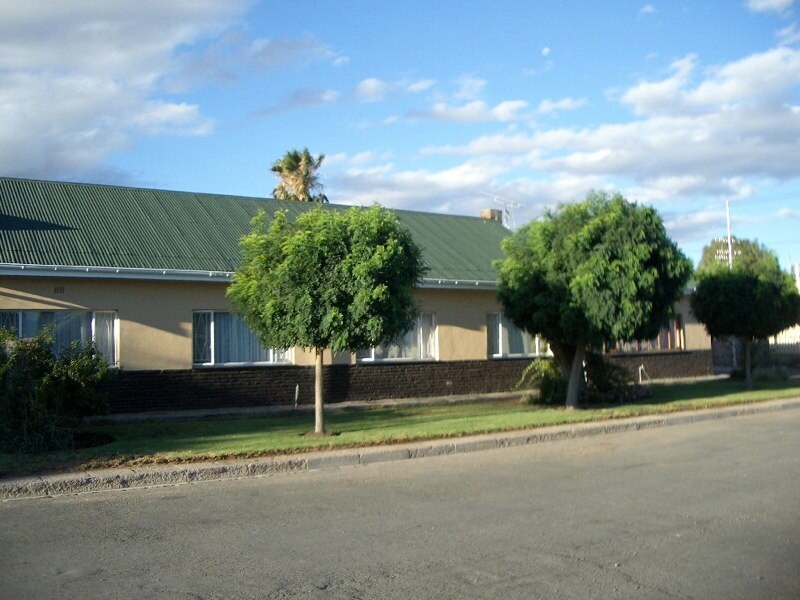 Accommodation in Beaufort West : Eliana Bed & Breakfast. Eliana B&B is three Star rated and offers you luxury comfortable self catering accommodation that is situated in a peaceful, quiet area, 100 meter from the (main road) N1 that runs through town. The friendly atmosphere that awaits you will offer you the oasis of peace and comfort. Ideal for the tourist driving through looking for comfortable accommodation, the holiday maker who just want to relax and get away from it all and the working class who need to feel at home. The secure parking and the quiet peaceful Karooevenings will put you at ease during a night deserving rest. Eliana Bed&Breakfast is AA recommended and 3 star grading awarded by Tourism Grading Council of South Africa and offers apartments which will accommodate 2 per unit. Every unit has an on suite bathroom, equipped kitchenette with fridge, microwave, DSTV, air-conditioning, coffee & tea, private barbeque area and onsite secure parking in the courtyard. All within walking distance to restaurants, municipal swimming pool, shopping centers, 2 minutes from golf course. The town is popular for the KarooNational Park ( +- 5 km outside town) and the ChrisBarnardMuseum. …. 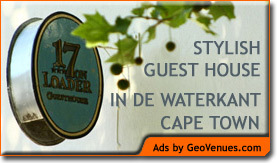 And when you arrive in Cape Town, be sure to stay at 17 on Loader Guest House, situated in "de Waterkant Village"